Landmarks provide information about your location and the direction you are headed in. To use landmark information successfully you need to create a mental map of a scene and remember the relative locations of important objects. You must also be able to mentally manipulate this mental map so that you will not get lost if you enter the scene from a different direction. In Mental Map, you have to remember the relative location of objects in a grid and then reconstruct the grid from memory after it has been rotated, flipped, or translated (moved up, down, right, or left). Different object sets are used. Remember the relative location of objects and then reconstruct the positions after the grid has been rotated, flipped or translated. 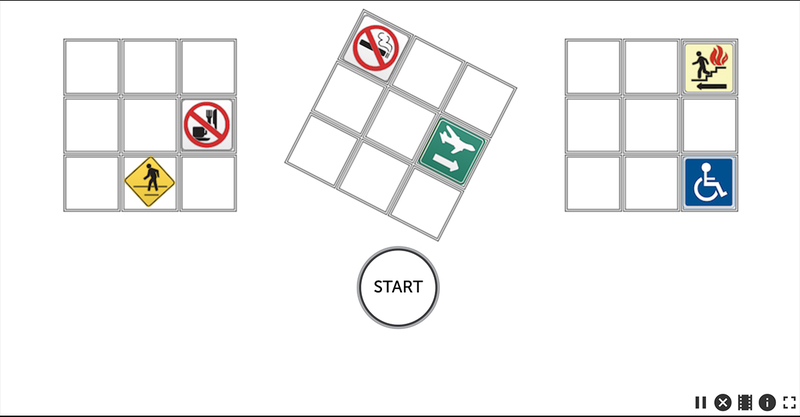 Your score is based on the level of complexity of grid movements that you reach.